Our speakers were RespectAbility’s President Jennifer Laszlo Mizrahi and its Pollster, Meaghan Buren. 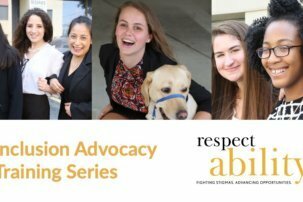 Mizrahi is a national leader in disability advocacy. Buren is a pollster who has led multiple national polls on a variety of topics, including disability and Jewish issues. 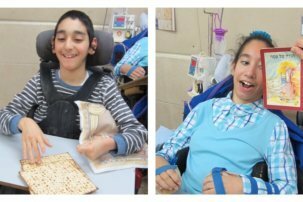 The survey was fielded July–September 2018 and includes 4,061 respondents; 2,570 are Jewish, 559 of whom are Jews with disabilities. This survey was made possible by the financial support of The Genesis Prize Foundation, which worked with the Jewish Funders Network to conduct the Breaking Barriers Initiative, created to honor Itzhak Perlman, 2016 Genesis Prize Laureate and world-renowned violinist and activist for people with disabilities. Ahuva and Aaron Orlofsky of the ORLO Fund, and the Beverly Foundation matched that support. The overwhelming response to the survey would not have been possible without the partnership of the Jewish Federation of Greater Houston, Jewish Federation of Greater Los Angeles, Jewish Federation of Greater Washington, UJA–Federation of New York, Jewish Federation of Greater Philadelphia, the LA Jewish Journal, New York Jewish Week’s New Normal and JTA. 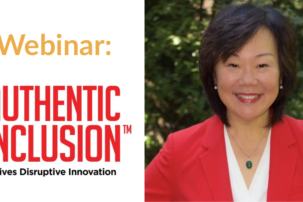 Will this webinar include captions and/or American Sign Language interpretation? Thanks! All of our webinars include live captioning.